Website for user u10944 on 2lazy2boot. Second hand sale ads, free ads on car boot sale by Hemant Mudrale from United Kingdom - u10944. Welcome to Hemant Mudrale's online car boot sale website. Find here used items for sale of Hemant Mudrale from United Kingdom. 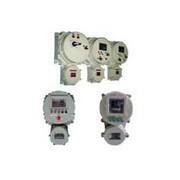 • Gas Group : I / IIA /IIB • Zone Protection : Zone 1 & Zone 2 • IP Protection : IP66 • Size : 250mmx145mm, 62.5mm max dia. • MOC : Aluminium Alloy (LM6). 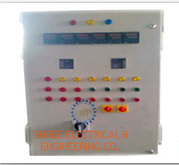 We are a notable Manufacturer, Exporter and Supplier of Flameproof Juntion Box from Maharashtra, India. 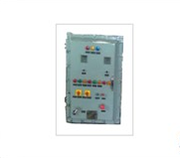 Owing to our contemporary fabrication facilities and a competent team of diligent personnel, we design all design of junction box in varied specifications. These panels are quality tested and approved by the authorities. 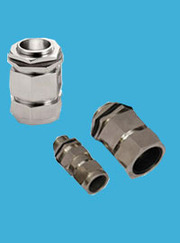 Flameproof-Weatherproof Double Compression Type Cable Gland • Application :IIA/IIB • MOC : Aluminium Alloy (LM6). 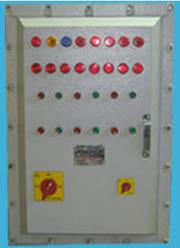 • Cable Entry : As per customer specification. Size & type like NPT/METRIC/BSP/ET or Equivalent Size. • MOC : SS • Mounting : Different for different type of fitting..
Cable Entry : As per customer specification. Size & type like NPT/METRIC/BSP/ET or Equivalent Size. • MOC : SS • Mounting : Different for different type of fitting..
We hold expertise in offering precision-engineered Atex Flameproof Plug & Socket. Fabricated in different specifications, our Flameproof Plugs & Sockets are designed in compliance with set industry standards with the aid of top-notch quality material and advance technology. Every manufactured piece is stringently tested on various quality parameters to ensure high quality, reliability and durability. 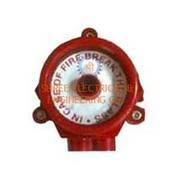 Customers can contact us for purchasing Atex Flameproof Fire Alarms as per the requirement. 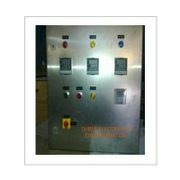 We stand amidst the leading Manufacturers, Exporters and Suppliers of Atex Flameproof Fire Alarm from Maharashtra, India. Our precision-engineered Fire Alarms are globally acknowledged for superb quality, easy application and optimum durability. 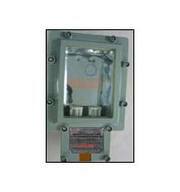 Gas Group : I / IIA /IIB • Zone Protection : Zone 1 & Zone 2 • IP Protection : IP66 • Size : 250mmx145mm, 62.5mm max dia. • MOC : Aluminium Alloy (LM6). 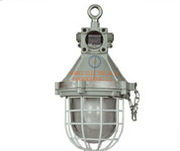 Atex Bulkhead Light Fixture that we offer is a Flame Proof Bulk Head Light Fixture, a kind of down light. 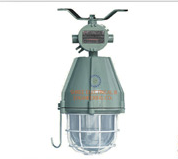 This Light Fixture finds wide application in different industries such as Pharmaceuticals, Petrochemicals, Mining and Defence. The fixtures come is a huge assortment of varied specifications. These are precisely fabricated at par with industry standards at our contemporary manufacturing unit. • Gas Group : I / IIA /IIB • Zone Protection : Zone 1 & Zone 2 • IP Protection : IP66 • Suitable for : up to 125W/250W HPMV, 70WMH/150WMH, 200W/300W GLS, 3x26W CFL, and 300W GLS Lamp without control gear. 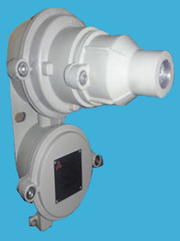 • Lamps : LED Lamps/CFL/GLS Lamp/ PL Lamp/HPMV Lamp. • Entry : Maximum 3 Nos. You can trust us for purchasing the best quality Atex Pendant Light Fixture. Based in Thane, Maharashtra, we are a reliable Manufacturer, Exporter and Supplier of Atex Pendant Light Fixture from India. 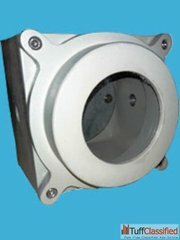 This Light Fixture is suitable for use in different industries such as Petrochemicals, Defense, Mining, Pharmaceuticals, etc. 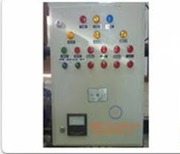 Flame Proof variable speed control & indicator panel • Gas Group : I / IIA /IIB • Zone Protection : Zone 1 & Zone 2 • IP Protection : IP66 • Cable Entry : As per customer specification. Size & type like NPT/METRIC/BSP/ET or Equivalent Size. • MOC : Aluminium Alloy (LM6). 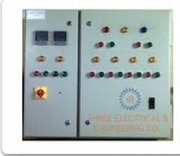 We are a well-known Manufacturer, Exporter and Supplier of Atex Flameproof Automatic Control System Maharashtra, India. 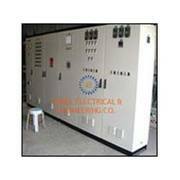 Designed in different specifications, Atex Flameproof Automatic Control System is a kind of an Automatic Control Panel with VFD, PLC Interlock & Instrument Control. It is fabricated with utmost precision at par with the set industry standards. This website was created by Hemant Mudrale from United Kingdom using 2lazy2boot.co.uk online car boot sale system. You may want to go to 2lazy2boot.co.uk marketplace to find more sellers if you cannot find what you are looking for on website of Hemant Mudrale. Second hand sale ads, free ads on car boot sale by Hemant Mudrale from United Kingdom - u10944.